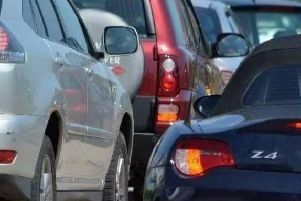 There are long delays on the A1M at Sawtry this afternoon after a crash has closed three lanes of the motorway. Police and Highways England are at the scene of the crash on the southbound carriageway. Officers were called at 12pm after a car pulling a trailer crashed. The car is pointing in the wrong direction and the trailer has overturned. Diesel has been spilt on the carriageway which Highways officers are clearing. UPDATE: 2.30PM: All lanes have now been cleared and the road is open.